In the wake of Occupy, some community organizers are interested in questioning the old divide between "movements" and "organizations" — and in harnessing the power of both. 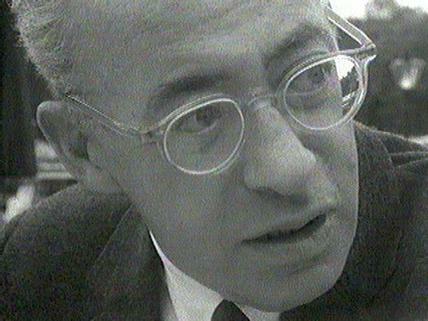 I’d wager that Alinsky wouldn’t have been half so influential as he was, had he not had the innate pragmatism that was shown by his willingness to work in concert with those in the civil rights movement (as described in this article), who had shown they could develop very broad, diverse participation in actions designed to put pressure on recalcitrant public authorities. Eventually anyone who spends enough time teaching or organizing nonviolent resistance learns that it’s prudent to have an ecumenical rather than doctrinal approach to explanatory frames about how and why it works. In defense of movements as a category of vehicles for civil resistance, I’ve noticed that in the U.S., the definition of what constitutes a movement is more diffuse than it is in countries where there is far less open civic space in which to operate. This comment quoted above from Ed Chambers is a clue to that less precise view: “We don’t lead everyday, ordinary people into public failures, and we’re not building movements…As good as they are, you can’t sustain them.” In fact, strategic action isn’t inconsistent with large movements if participants have been well-taught and prepared, and hundreds of nonviolent movements around the world have been sustained for years and indeed decades. But in America, the label “movement” is often pasted on nothing much more than a sequence of protests that manage to get media attention. If our nomenclature was more consistent, and activists spent more time harvesting effective ideas from all over the world (abetted by “Waging Nonviolence” and other sources of information on nonviolent action), “movements” that are fielded in America wouldn’t earn quite so much skepticism. They have much to learn. We all do. Citizen-based organizing and mobilizing can take many forms — as it should — but in the long march of political and social history, it’s only just emerged. Overall a good article that rightly emphasizes the need for flexibility in organizing and the contradiction between forming an organization and becoming inflexible and therefore missing the historical moment when people are ready to revolt. One of the problems with those who have gotten involved in electoral politics is they have done so inside the corporate-dominated Democratic Party. As a result they have aligned their goals, indeed, limited their goals to the Democratic Party agenda. This is something Alinsky and King would have agreed was a terrible mistake. The author mentions the 99%Spring as an example of organizations trying to build on the energy of the occupy movement. This is actually a good example of the failure of these organizations. 99% Spring fizzled, accomplished nothing even though it was featured in the Nation, Bill Moyers Journal and other progressive outlets. When people went to some 99% Spring events there was Obama literature being given out by the organizers, some of the spaces were made available by Democratic Party clubs and the agenda of the 99% Spring was consistent with Obama re-election campaign rhetoric. The organizations involved were too closely aligned with partisanship, with a party that is funded by Wall Street and big business interests, that is why it failed. Perhaps this is a flaw of building organizations that seek to last a long time (a decade or longer) as they end up working with the system, often resulting in being captured by it. This is a flaw to be averted, much better for organizations to ally with a movement. Organization and movement are not antagonistic as this article seems to imply, they can be synergistic. Indeed, the Occupy encampment phase is behind us, now we have the longer term, multi-year challenge of building national consensus around the issues raised by and this will take more organization than the explosion of Occupy. But the partisan relationship to the Democratic Party is deadly and I’d be very surprised of Alinsky would have supported it. Anyone who knows the history of the Democratic Party knows it is a movement killer, it is where movements go to die. The question of whether and how to engage the Democratic Party (or how to replace it) is obviously a very long one on the left. Since it’s not the focus on this article, I’ll leave that debate to others. I did want to comment on 99% Spring. I would agree with Kevin Zeese that it was not a success. But I do think it was an experiment with breaking that organization/movement divide that was a step in the right direction. Also, I don’t think it’s accurate to paint it as a mere staging ground for Democratic Party activity. The trainings were diverse and varied, as were the politics of the sponsoring organizations. While Obama literature may have been given out in some places, the curriculum was not about that. In the training I attended in Philadelphia, the Democrats were discussed quite critically when they were mentioned at all. So I think a critique of 99% Spring would have to be more nuanced. I certainly agree with Zeese that organization and movement can be synergistic. Although we were trying to illustrate this divide in the article by documenting some of its historical roots, our ultimate goal was to help people overcome some of the divisions that occur as a result of clashes in organizing cultures and organizing traditions. I can tell you that for many of us in Occupy, people who helped to organize occupations, the 99% Spring was not seen as an effort to break the organization-movement divide, but as an effort by Democratic-aligned organization to co-opt the movement. There were a series of articles written at the time that pointed this out. http://dev2.wagingnonviolence.org/feature/the-making-of-a-99-spring/, correctly identified the project as coming from the institutional left. These established NGO’s are closely aligned with the Democratic Party and its agenda. Yes, they will criticize the party, but in the end they urge people to vote for it. It did not help 99% Spring that its website was on a MoveOn website — a group clearly a political arm of the Democratic Party. This article highlights how the 99% spring agenda was the Obama re-election agenda, http://www.counterpunch.org/2012/04/12/moveons-99-percent-spring-obama-and-the-dems-march-in-lock-step/. These articles that were written at the time of the event so they provide a useful history of what actually occurred. Each article links to more articles. Regarding dealing with the Democrats, I don’t think there is much debate on the left regarding this point: we should not limit ourselves to the Democrats agenda. There is debate on whether to try to change the Dems from the inside or to challenge the from the outside. But, the Democrat agenda is not our agenda. For those interested in the debate on independence v. partisanship, here’s an article we wrote last week continuing a discussion that is getting hotter online: http://www.popularresistance.org/the-debate-independence-or-partisanship/. We link to articles on both sides of this discussion in the early paragraphs. For those who believe the movement should be independent visit http://www.PopularResistance.org as that is the approach we take. We welcome people who are registered Democrats, Greens, independents, socialists, non-voters etc., but we believe the movement itself should not be aligned with any political party or its agenda. Thank you for an excellent article Mark and I appreciate you responding to my comment on the areas where we disagree (we mostly agree). And, I look forward to your book. Alinsky’s “Rules” is more accurately “Rules for Liberals Who Think They Are Radical.” There is nothing new about socialists who reject participation in politics. Both Marx and Lenin discussed this phenomenon. Lenin called the Alinsky type “Left-Wing Communism, An Infantile Disorder.” Alinsky might have made a difference if he had explained to people in Chicago the class and economic conditions which had created the poverty they were living in. Instead he learned his lesson from McCarthy and never again spoke about wage-slavery, class war, revolution, or communism. And his greatest contribution to history: Barak Obama, a bourgeois elitist, whose first act as president was to turn over a trillion (probably more) dollars to the banking class. The piece by the Englers is much appreciated because it takes seriously the legacy of Saul Alinsky and a core tension that impacts the strategic vision of organizers for change. Having spent forty years as an IAF organizer in Chicago, New York, Arizona, New Mexico, Nevada and Arizona I can’t recall a single project where the tensional field between organizing and movement mobilizing was not present. It seems to me that all organizing – whether disciplined, long term, “professional” or an hour, day, month or year offered up by an “activist” – represent complex wagers driven by some sort of self narrated story. The wager is that the storyline will find sufficient fulfillment to justify the investment of time, talent and perhaps treasure. For most organizers I suspect that this story is generally threaded through various movements as well as satisfactions of the craft itself (including remuneration) and collaborative work with similarly inclined co-conspirators. In my experience, IAF organizations commonly intersect with movements of the day. Just as Alinsky sought to build off the civil rights energy in the TWO story related by Nicholas von Hoffman, so COPS built off the emerging sensibility of Chicano activism in the early and mid seventies. The Campaign Against Pollution – Alinsky’s Chicago based middle class foray in the early seventies – emerged from nascent environmental movement. Much current organizing flows from the anger and focus fostered by immigrant rights issues. On and on. All of this is to say that the tension between organizing and mobilizing merits the kind of exploration your piece suggests. This is as good a time as any, maybe better than most, to pursue it. Thanks for this comment, Frank. It’s very interesting to hear reflections based on such a deep background in organizing. Although we draw out the movement/organization distinction in this article for the purposes of analysis, I think you are right that the boundaries can be more porous in practice. It would be interesting to see people take up further investigation into the community organizing tradition in order to document moments of synergy and innovation on this issue. Although I realize that Saul Alinsky did many good things in his life, I’m troubled by one of the quotes attributed to him: “Ridicule is man’s most potent weapon.” If we resort to ridiculing people with whom we disagree, then we’re resorting to the same tactics used by Joe Mc Carthy and the extremist elements in the Tea Party movement. Although I’m sure that Saul Alinsky did some good things in his life, I was troubled by one remark that was attributed to him: “Ridicule is man’s most potent weapon.” If we resort to ridicule when we disagree with someone, then we aren’t any different from Joe Mc Carthy or the extremist elements in the Tea Party movement. This is true as far as it goes. The IAF folks became increasingly risk-averse, in part because of their experience in the early years after Alinsky’s death when they began to believe that what they called “issue-based” organizing wouldn’t work. Mike Miller argues that they missed an important opportunity in their city-wide CAP organization that dissolved in inter-organization and inter-personal fights. 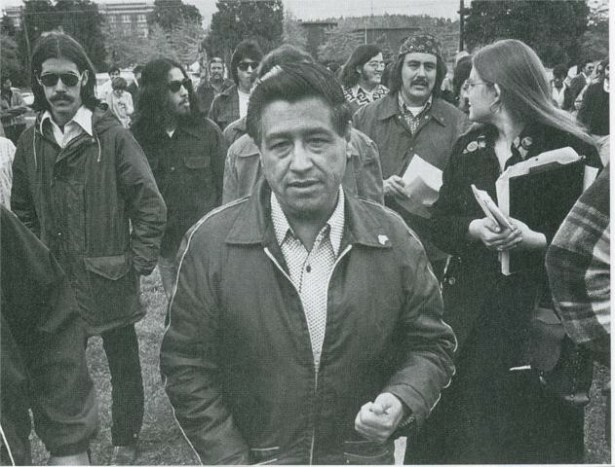 PICO was originally a neighborhood organizing group that turned away from organizing on the “doors” to congregation-based organizing. An exception would be Trapp’s work in NPA, where he went around the country building local organizing groups–especially in Cleveland, Iowa (which still exists) and elsewhere. I think it’s important not to limit the post-Alinsky tradition to the IAF folks and congregation-based organizing (although they generally dominate the literature) and remember that there are branches of the Alinsky-based vision that went in other directions, including NPA which grew out of Tom Gaudette’s approach to organizing in the Northwest Community Organization and Organization for a Better Austin. Mike and I write about this in a forthcoming book from Vanderbilt Univ. Press. Not trying to sell books, but I don’t think the story is well told elsewhere. (There is a book published by NPA about Trapp called _Dynamics of Organizing_ (different than the text available online with the same name). Oh, and Michael Westgate’s book _Gale Force_ which is available on Amazon now. It doesn’t focus as much on the on-the-ground organizing that Trapp did which was more an extension of the Alinsky tradition. However the combination was a great case study, which has still not sufficiently been examined, of a combination between a movement-based and structure-based approach to organizing. The archives of NPA (such as they are–they are pretty spotty) are now at DePaul.